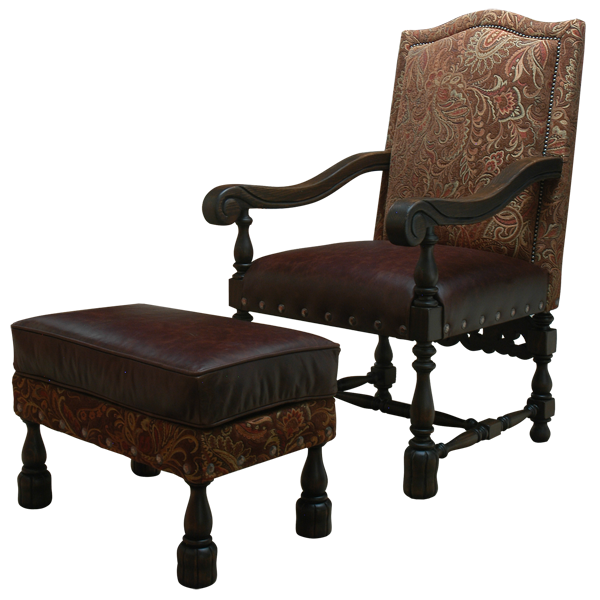 With its clean lines and lovely, tall seat back, this handcrafted chair is a fusion of traditional style and contemporary comfort. 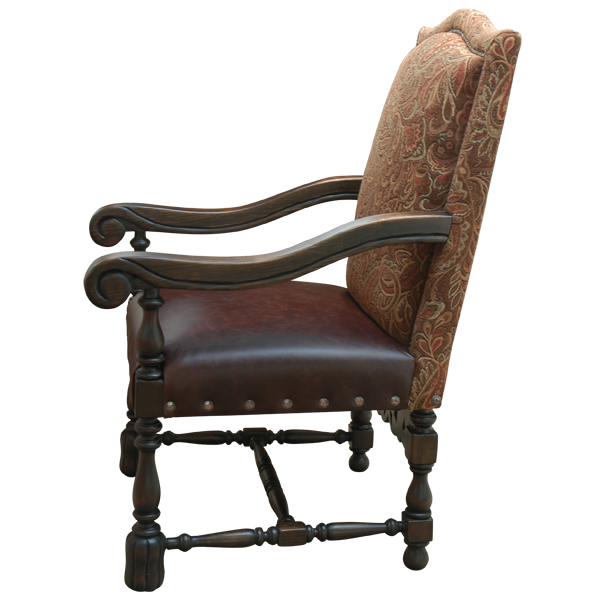 The curved armrest end in hand carved reed and scroll designs. The legs are exquisitely hand turned and are joined by an ¨H¨ shaped, hand turned stretcher. 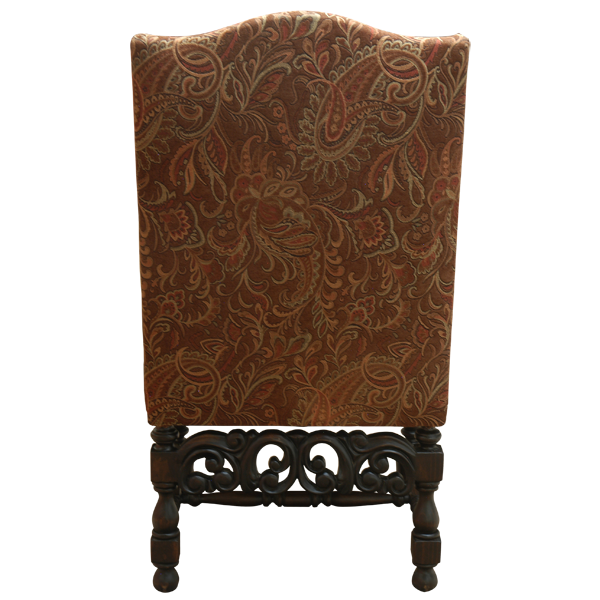 The back panel stretcher has beautiful, hand carved, floral designs. 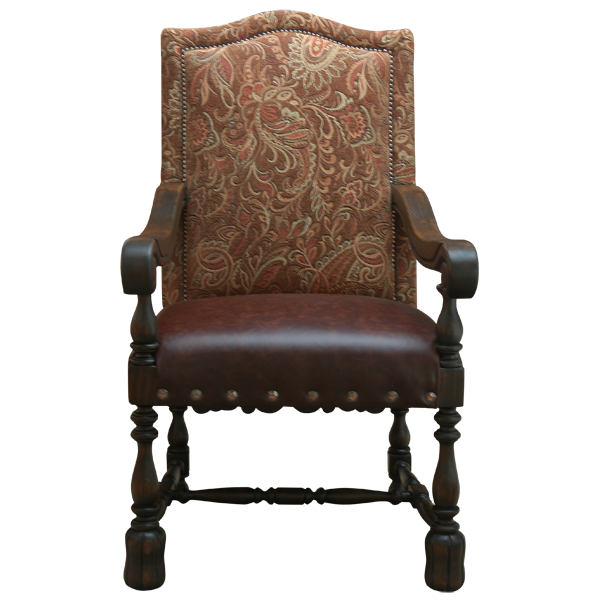 The padded seat is upholstered in rich, brown, full grain leather, and both sides of the tall, curved seat back are upholstered in patterned, fine fabric. The sides of the base of the seat are embellished with large, decorative nails, and the seat back is adorned with small, decorative nails. The chair is made with the best, sustainable, solid wood available, and it is 100% customizable. The chair in the photograph is accompanied with a matching ottoman.